(Travel Weekly) An overhaul of LaGuardia Airport will begin in early 2016, New York Gov. Andrew Cuomo said on Monday. 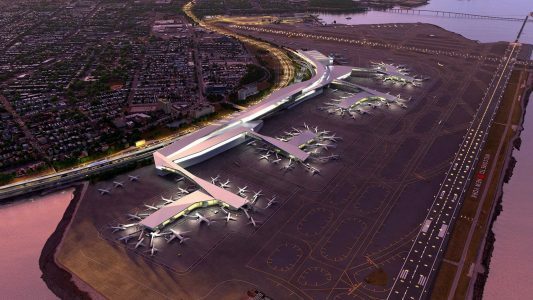 The first stage of the overhaul will cost $4 billion and redo terminals A and B. Joined at the Times Square Sheraton by Vice President Joe Biden, who famously compared LaGuardia to a “Third World country” last year, Cuomo said that all four of LaGuardia’s disparate terminals will be torn down and replaced by a unified terminal. “It is actually happening,” he said. The terminal will include a central arrivals and departures hall and a 200-room hotel. It will be accompanied by new parking garages. To read more, click here.